Please mark your calendars for an important lecture which will definitely be enlightening also in terms of Chinese-Korean relations. All Chinese language students should attend. 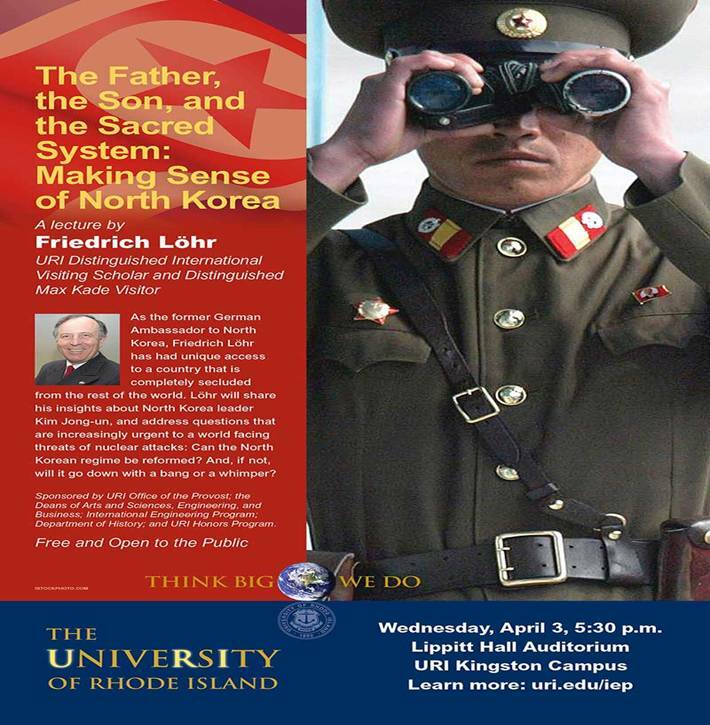 Join us for this insightful and timely presentation by Friedrich Löhr, former German Ambassador to North Korea. During his lecture, he will address many complex issues challenging North Korea and its relationship with the rest of the world. Please feel free to forward this information to all interested in this subject. Teach for China: Application Deadline March 31!